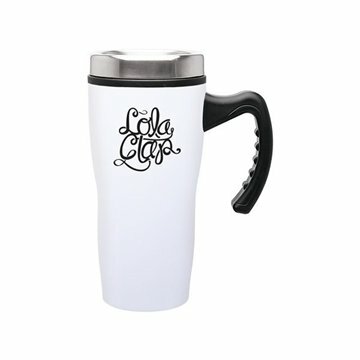 16 oz double wall stainless steel mug with foam insulation, plastic inner wall, and push-on lid. Great gifts for patients! We will reorder these same cups when we run out. Great quality! Every single one of our clients enjoyed this product. My manager loved them a lot, he purchased another 50 additional ones for other employees who otherwise would not have received them. Everyone who received this gift last week commented on the story behind it - thanks for an affordable item! We have received great response in this product. Our customers loved them. there were no hidden agendas and I was incredibly pleased with Alicia's knowledge and execution of our order.